Why make a stressful situation worse by travel? 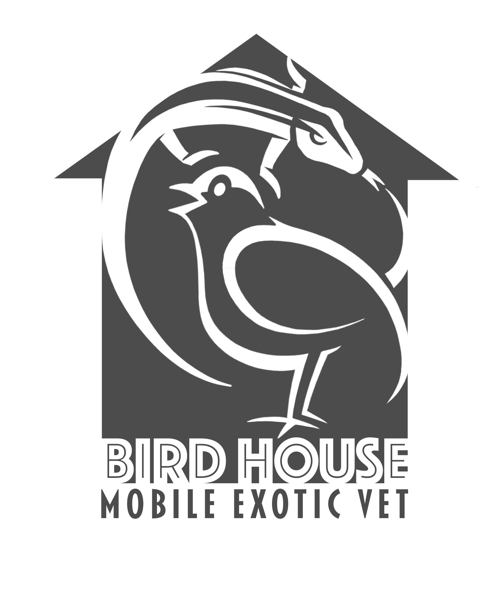 Birdhouse Mobile Exotic Vet comes to you to take care of your beloved bird, reptile, or amphibian in the comfort of your own home. Our veterinarian is a highly experienced and locally respected professional with a specific interest in avian and exotic animal medicine and care. We serve the greater Asheville NC area (Buncombe County), offering appointments on most Fridays for wellness, illness, and behavior evaluations, in addition to grooming such as beak, nail and wing trims for established patients. Contact us to determine if you are within our service area.